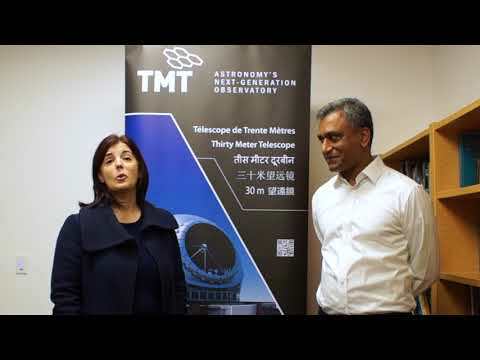 Join TMT scientist Tony Travouillon as he takes us to the high deserts of Chile, the mountains of Mexico, and 13,600 feet above the Pacific Ocean to the summit of Mauna Kea in Hawaii in search of the best possible window on the Universe. This quest for the stars was truly a 5-year mission in which Tony and his colleagues braved highly unusual and often harsh working conditions to gather as much data as possible about Earth’s turbulent atmosphere so astronomers would be able to explore distant worlds, stars, and galaxies. This event will be held June 5 at the Palomar Outreach Center. The evening begins at 5 p.m. with a tour of the grounds of the Palomar Observatory. The presentation begins at 7 p.m. Weather permitting, stay after the talk for a brief view of the night sky through some amateur telescopes. This is a free public lecture, but seating is limited. Call (760) 742-2131 or e-mail friendsofpalomar@astro.caltech.edu to make reservations.